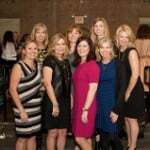 The Filter Building at White Rock Lake was filled with an outpouring of love on Thursday, October 22, as the Huckleberry Foundation held its inaugural luncheon. 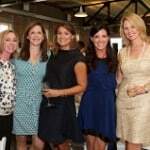 Founder Molly Russell, Connecting Point of Park Cities Program Executive Jamie Reynolds and Heidi R. Bruty, M.D., greeted guests and gave heart-warming speeches about the rewards and challenges of raising children with special needs. “From the launch of foundation, to our first annual luncheon, the outpouring of love and support from family and friends has been overwhelming,” said Russell. “We’re blessed to live in such an amazing community and our hope is that through the Huckleberry Foundation we can be a source of support for others who don’t have access to the tools and care needed to raise a special needs child.” The organization’s first annual luncheon helped to raise approximately $30,000 for special needs families and its HUCK HELPS program. To learn more or to make a donation, please visit http://www.thehuckleberryfoundation.com/.